Victor Sánchez Rodriguez’s Cuzco connects the lives of a contemporary Spanish couple to their shared history as they attempt to salvage an evidently fledgling relationship. As they visit the historically significant destination, can the pair’s own personal shared history endure the challenges of the Inca trail? 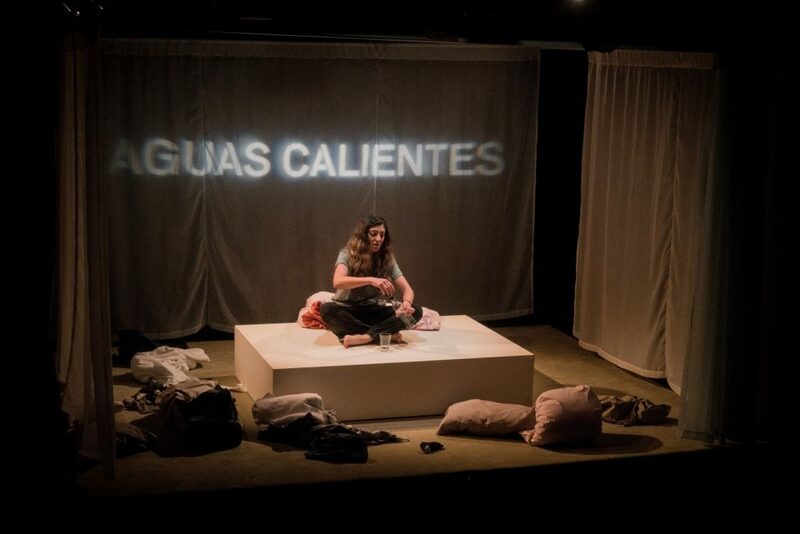 Rodriquez’s script cleverly transitions from the pair bouncing off of one another, individually recounting their thoughts and experiences and concludes with the pair’s fiery war of words. Translator William Gregory capture’s Rodriguez’s ambitious script, a script wanting to educate on geography, culture and history and entwining this with the complicated tangle of feelings relationships bring. Dilek Roses’s She and Gareth Kieran Jones’ He hold their own, two individuals passionate about what they believe in, both strong minded. What’s missing however is that feeling of both once upon a time truly loving one another. Yes, the pair are now at a point whereby they question where they both are in their relationship, however as they are so individual, a connection is missing. Kate O’Connor’s considered direction rightfully places focus on Rodriguez’s rich script, Max Pappenheim’s sound design instantly transporting all to Southern America with heart thumping vivacious rhythms and Jai Morjaria‘s lighting design beautifully shrouding the stage with cool blue water-like and warm yellow and orange tones.